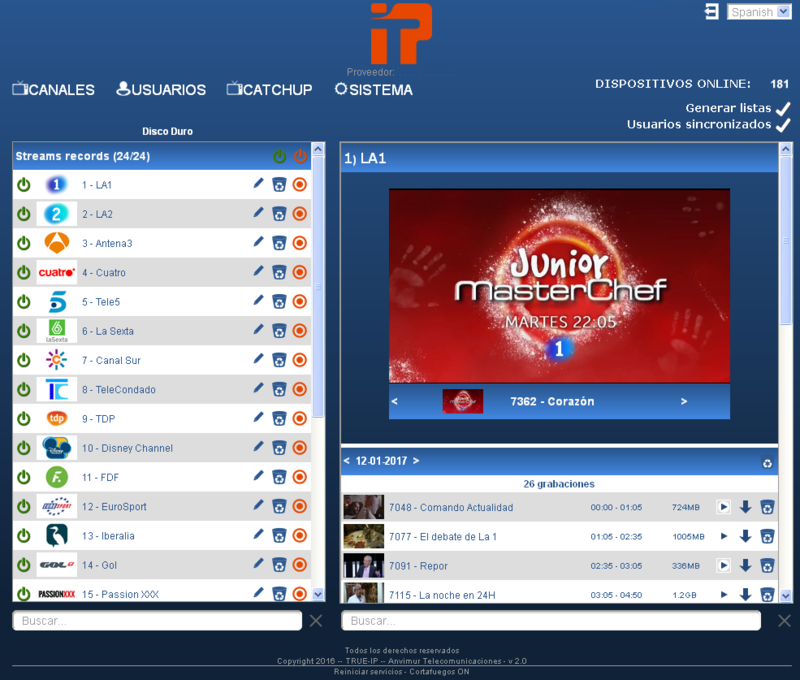 Catch-TV-IP is a solution developed by Anvimur Telecomunicaciones allowing for the automatic recording of a channel line-up broadcasted by True-IP Middleware , in order to be able to be reproduced on demand on the subscribers’ terminal devices. 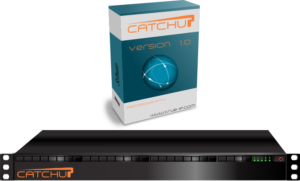 Catch-upTV is a professional multi-channel IP video recorder which is 100% compatible with True-IPMiddleware; ideal for OTT/IPTV solutions. Catch-upTV-IP is installed on an ultra-fast professional Intel Xeon E3 chipset on Supermicro boards, with the possibility of using different storage capacities per server. Catch-up TV-IP Video Recorder enables the operator to select a channel line-up to be automaticallyrecorded in order to be offered on demand on their subscriber’s viewing devices. Web management for the actual True-IP platform. Automatic recording of channels by EPG information events. Uses HLS protocol for streaming. Intelligent erasing mode: identifies the older recordings and eliminates them to free up space for newer ones. Intelligent storage analyser the disc. Detailed information on daily recordings including a time-line for viewing the filed content. Create image snaps of each recorded video event with EPG information. 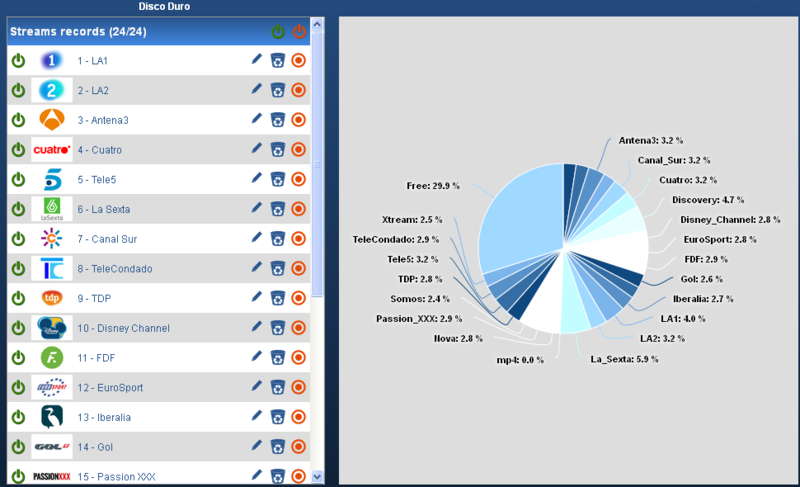 This shows how a subscriber may access recorded content, carry out a search by date or specific event.